Subscribe! Hit any button with the word subscribe. Tell us about your Able Pup! 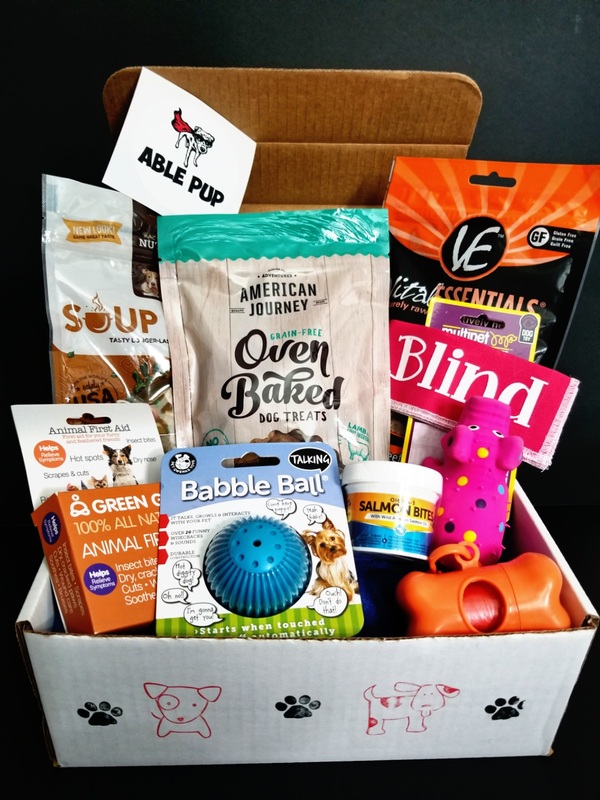 Fill out the questions at check out so we can personalize your Able Pup's box. Get a personalized Able Pup Box delivered to your door. Their Able Pup Box will be too. Read our blog, tell us your story. Be a part of the Able Pup Community.